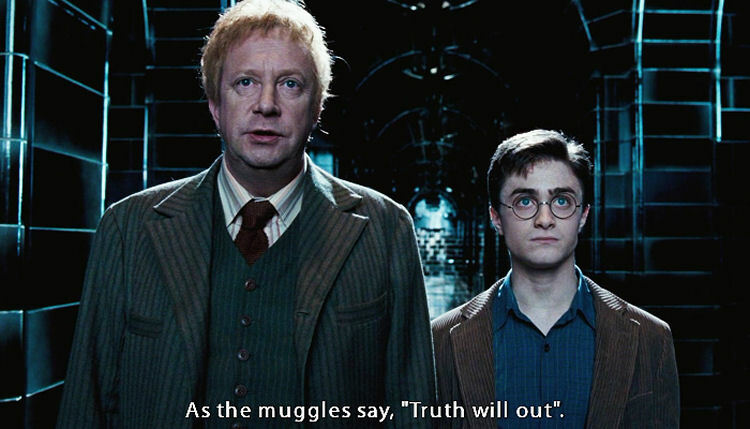 In the Harry Potter film Order of the Phoenix, Arthur Weasley leads Harry Potter through the Ministry of Magic to face his trial. His departing words for the young wizard paraphrases the great William Shakespeare, "The truth will out". While recently watching this scene, I was struck with a great curiosity towards Mr. Weasley and his sympathy/interest towards Muggles. As fans know, the wizarding world is separate and hidden from the Muggle world with the aid of magical barriers and memory-erasing spells. Very few wizards have, and even show, an active interest in non-magical folk. Weasley, despite being a pure-blood wizard, is the rare exception, and is what we can call a Muggle Sympathizer. While most wizards look down on humans due to their inability to produce magic, this is actually (an assumed) origin for Weasley's love of "us". Sometimes as our Muggle selves in the 21st century, and knowing how much of the wizarding world is stuck in time, we joke about the wizarding world not having WiFi, computers, etc. 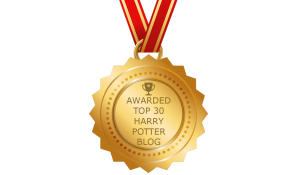 For the witch and wizard who can do everything, it takes a special type of wizard to be interested in Muggle whatchyamycallits and gizmos. My biggest curiosity with Weasley is not only the origin of how he discovered Shakespeare but the use of the line intended in the film. Firstly, the purpose of Weasleys' job in the Misuse of Muggle Artefacts Office department is to regulate magic on Muggle objects and attempt to keep items away from Muggles that had been bewitched. We assume a great deal of his work specifically is intended to hide Dark magic or prevent evil intentions committed against Muggles as best as possible. What kind of raid or investigation would lead Weasley to a book about Shakespeare or the Merchant of Venice? How would a witch or wizard bewitch a book against a Muggle? It's a peculiar thing to imagine, indeed. Secondly, to examine the phrase he uses, it originates from The Merchant of Venice. Lancelot is speaking with Old- Gobbo, his semi-blind father who cannot recognize him. With a great level of certainty, Lancelot is promising that the identity of Gobbo's son will be revealed eventually. Lancelot is convinced of this revelation because he is him; his is that very son. When Weasley passes this advice onto Potter, we know that the ginger-haired clan considers the Chosen One to be like one of their own. Since this line is not in the books, and purely taking it into context of Weasley as a character and the scene in the film, he is absolutely convinced of Harry's innocence. Weasley is aware in spite of all efforts of the Ministry concealing the truth of Voldemort's return (even Harry's defensive actions taken against Dudley when dementors attacked them), it will come out one way or another. 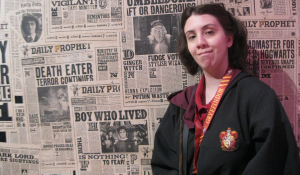 One clue in the film offers more than what we may consider at face-value about Weasley and other Muggle Sympathizers, As a low-priority employee, who is deemed so unimportant that higher-ups won't even provide a window for his broom-cupboard sized office, Weasley's passion actually allows for much more depth and exploration. Beyond the limited scope of purebloods who believe magic has it all, other wizards and witches are opened up to much more rich and vivid culture humans have created. As a reader, I imagine, that if he had that kind of access to Muggle artefacts, even if it is "just a book" or a story - what other kinds of Muggle culture did Weasley enjoy? Can we assume one step further to think that beyond literature, somewhere in the stacks of his collections he dared tried not to toy with such a contraption like a computer? Or that he had a vintage television and used his wand to fix the broken celluloid of a VHS tape to watch a classic film over and over again? Weasley coming home late one night to Molly trying to tell her that Muggles have "moving pictures" too only they last two hours long, and people speak and stories are told. It is a fun idea to consider how much Muggle Sympathizers knew and appreciated about our culture that was essentially condemned or ignored. 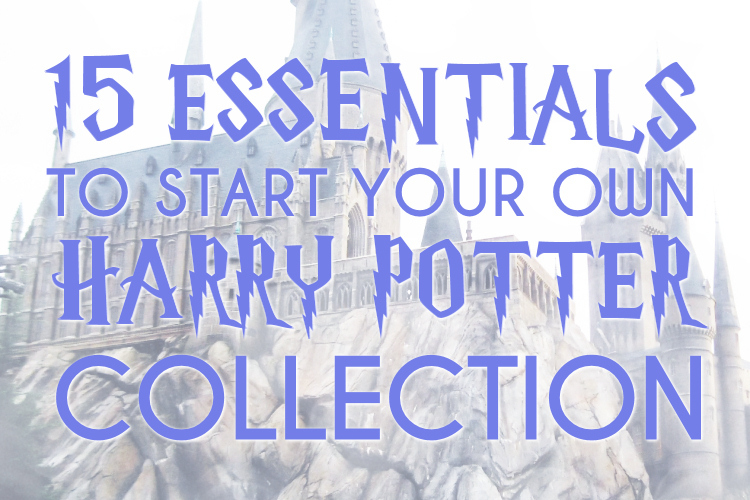 This line may not be included or written by J.K. Rowling in the original fifth book. As it is with the script by Michael Goldenberg, naturally we may assume that the British wizarding world might have heard of Shakespeare, or that he was in some way magical himself, or simply that Weasley happened to come across his works during his job. Or perhaps believing one step further, as J.K. Rowling has expressed by her body work as an author, words are an inexhaustible source of magic. Through Weasley's singular expression of Muggle admiration, we can even accept that not even the barrier of two worlds can set a limit on them. Great write up! I always liked Arthur Weasley. OotP is one of my favorite books and films (mostly because Kloves didn't adapt the screenplay) I like that that line was included.